The scheme for which we won our first ever award (yeah! 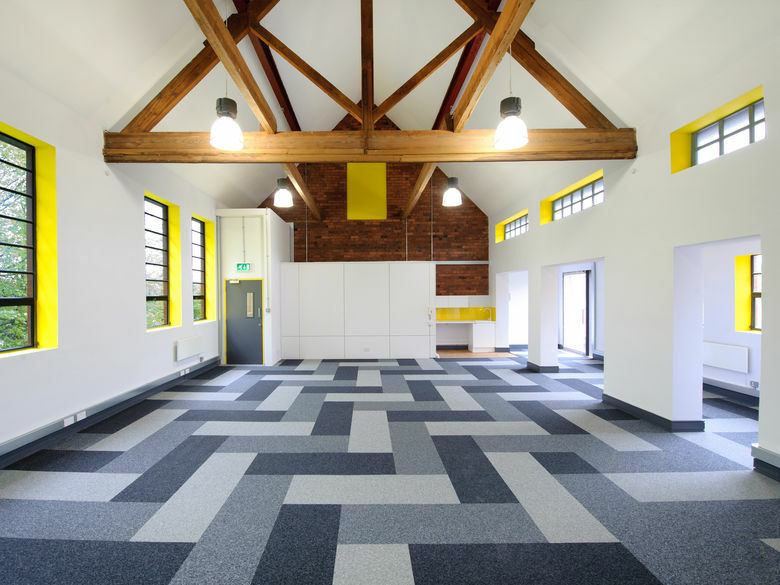 ), Schoolhouse is a collection of workspaces in Trafford Park. It's close to Media City and a range of other commercial highlights in this area of Greater Manchester. 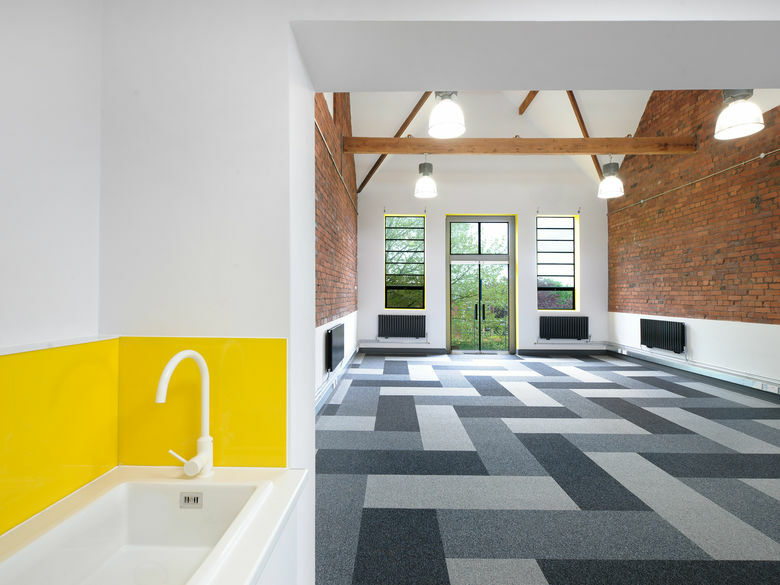 Urban Splash took this collection of former school buildings and restored them to create a collection of high specification workspaces, each packed with original features which we retained during our refurbishment. 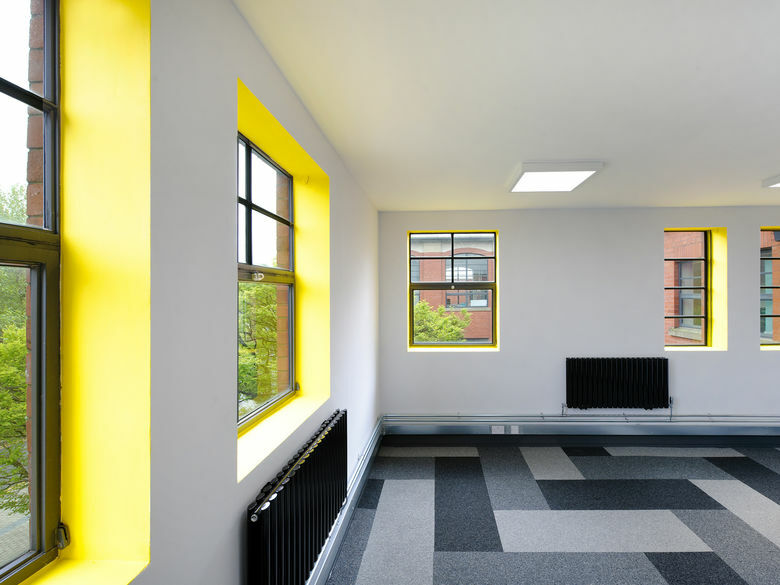 Since its completion in 1996, it has remained one of the most popular and unique office developments in Trafford Park, and was the first Urban Splash scheme to receive an RIBA award for Architecture. A total of 18,000 sq ft (1,669 sq m) of modern office space is on offer here, most of which has been let since the building's completion. 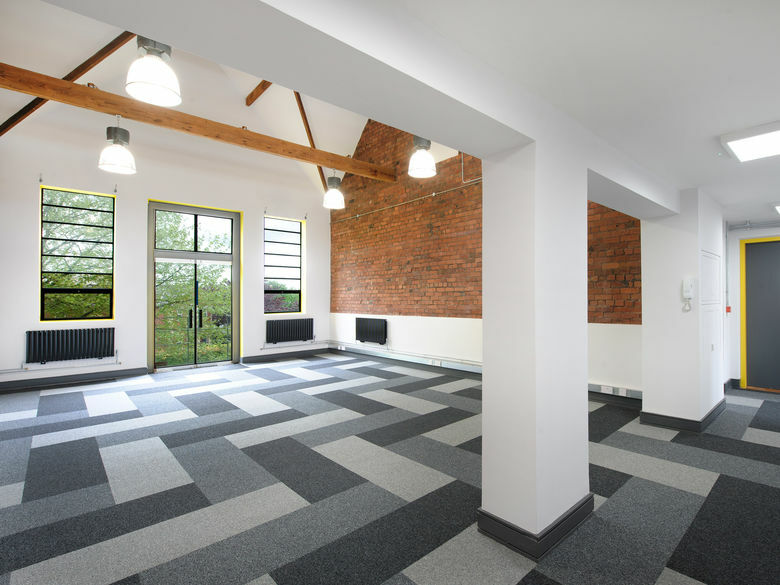 Great designs, spacious units - some of which we revisited and refurbished again in 2015 - are just part of the appeal, with a pocket park outside and the amenities of Trafford Park Village, which has its own post office, shops, banks, newsagent and chippy, all within easy walking distance. Business occupiers also benefit from the nearby Trafford Centre, Chill Factore and of course of the M60 motorway and national road network. Trafford Park is also served by the Metrolink with the nearest tram stop at Old Trafford - and of course there's MediaCity, Europe's largest redevelopment project and new home to the BBC in the North, just a short distance away. Much of the Schoolhouse's existing commercial community are creative industry businesses serving clients at MediaCity. 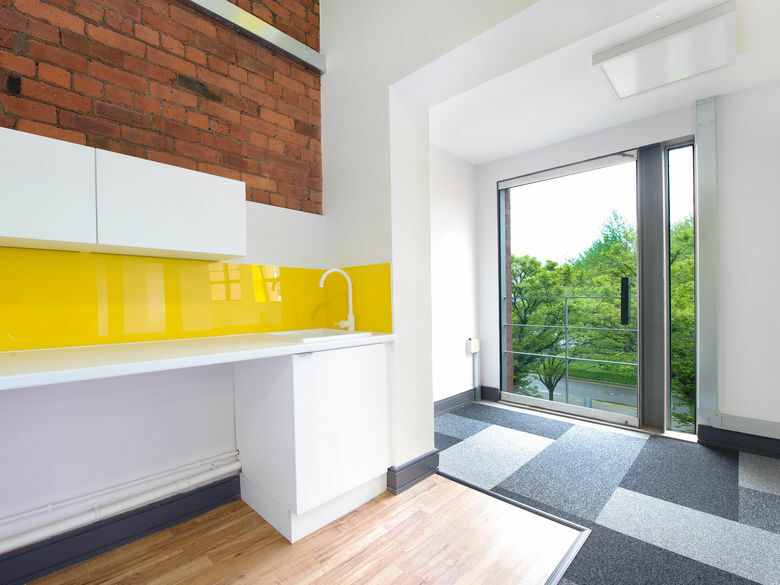 Just a handful of space remains on offer and we'd love to show you around; we offer our usual Urban Splash short form lease option too - just four-pages of jargon-free text that cuts out the costs and commitment of a standard lease. The fuss-free process means the space could be yours tomorrow. We’ve done this before. 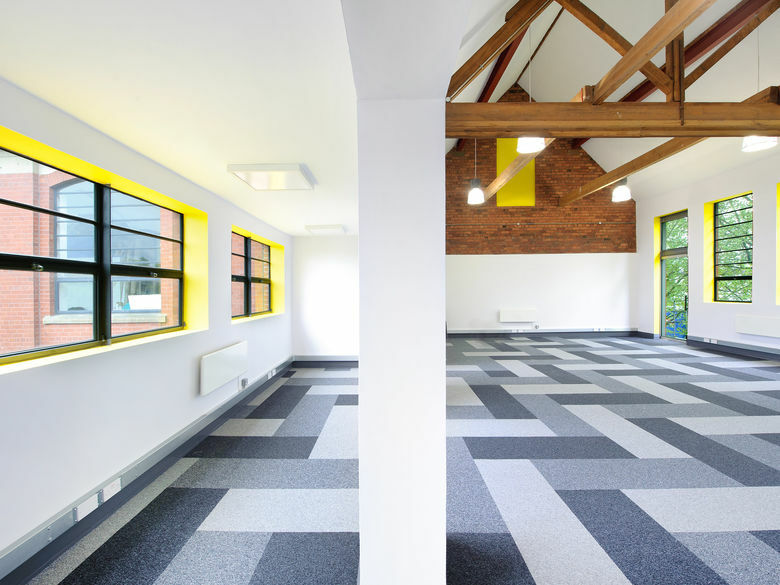 Offices aren’t new to US - we love reinventing spaces to retain the best features & adding new facilites to bring things band up to date. Developers with a difference, we aren’t here to rip it up and start again. We aim to revive buildings and places with outstanding architecture and a consideration for the past, present and future. We work on the basis that redevelopment is more than bricks and mortar, it’s about using enlightened design, creating new communities and enhancing peoples’ lifestyles; it’s about building places that work for the people who live in them and the towns and cities beyond. As a result, we’re behind some of the most exciting urban regeneration in the UK. Check out some of the awards Schoolhouse has won below.